Can I have ribbon and buttons with that? well yes you can if you order $120 worth of products with me during the month of July. Email me to order any product from the 2010/2011 Idea Book and Catalogue (click on the picture on the right to go to the online catalogue) if you live in NZ and Ill ship it direct to your door. Ive been busy playing with the brights colour ways which complement this ribbon bundle. Ill be teaching the apron card this month in my classes. 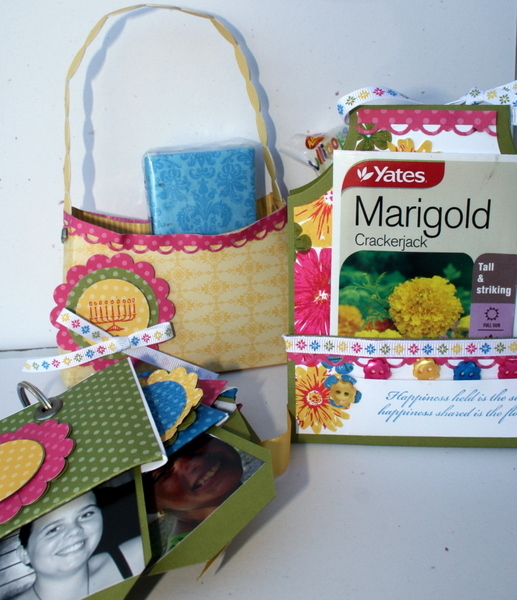 The little tag album is for my daughter and has all her friends on the tags. This one is using the mini envelopes rather than the medium square envelopes like in my tag album. The purse is a melstampz purse. template. Love her site. PS Calving has started and we have heifer replacement number one! Its gonna be full on from here on in!